Okay – blogs are not easy things to write! I sat at breakfast over a great cranberry walnut bagel wondering what on earth could I write that could possibly be of any interest to anyone else?? Christmas is coming and I had all these great ideas for crafting presents this year…notice the past tense on that….there is no way that I can do even the smallest part of my immense list of things that I wanted to give! But that is part of the problem isn’t it…biting off more than you can chew! Somehow we have this image that we can leap small crafty buildings with a single bound…it really does take more planning than I give it! I have really been getting into miniquilts – here are my latest few! i have really enjoyed the miniquilt that Aurifil has provided this year – the designers are fantastic!! 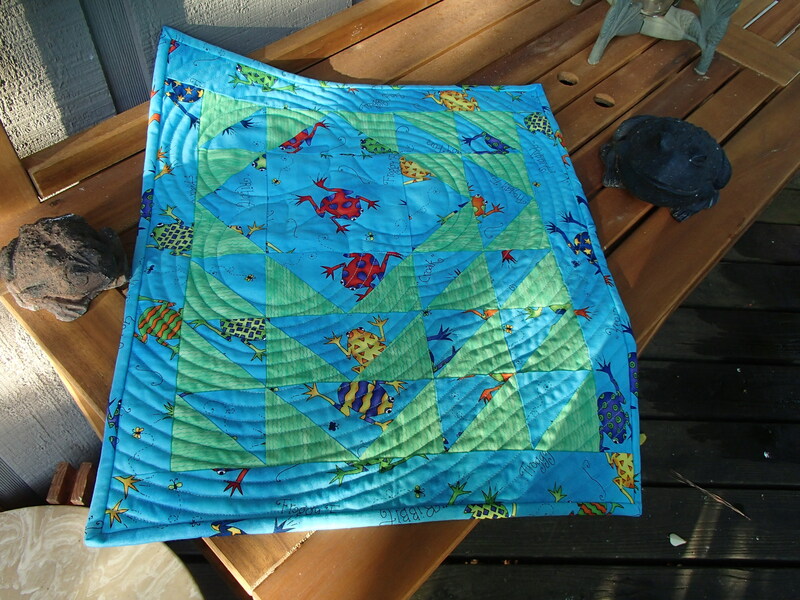 This froggy fabric has been in my stash forever and this was finally a good way to show it off. 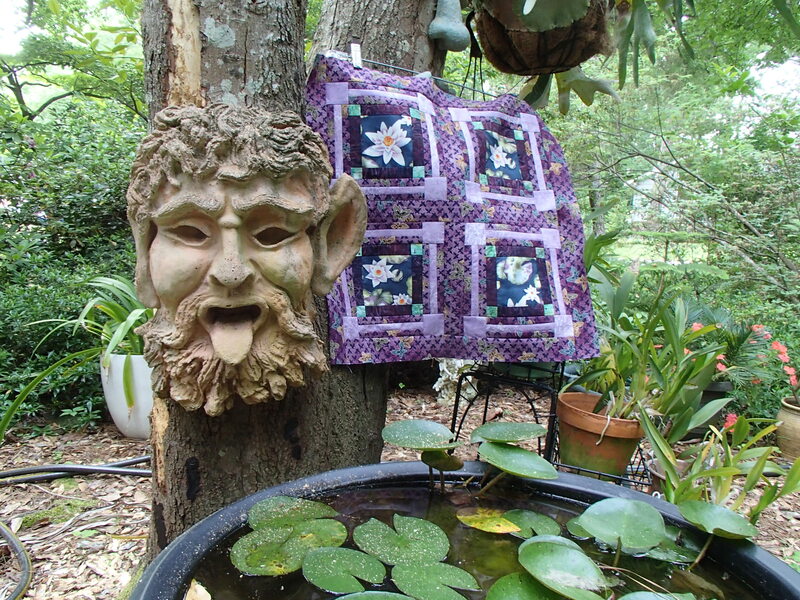 Likewise the waterlily fabric had become quite ancient so it was time to be creative with it! 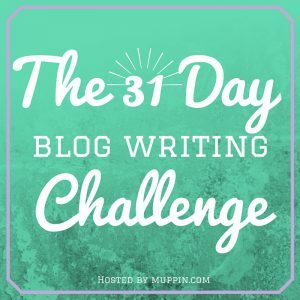 I entered a reader challenge!!! finally…. I did finish my pouch for my exchange!!!! yipeeeee! 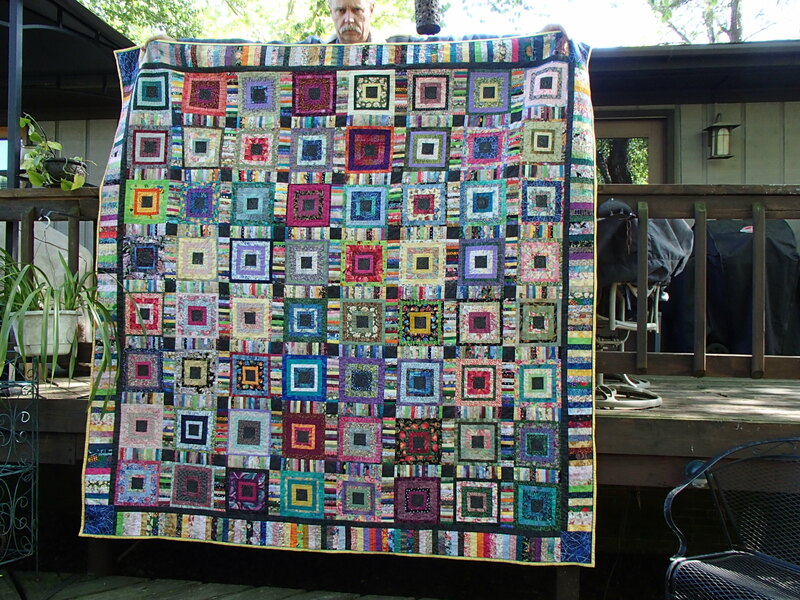 I finished my Log Cabin quilt!! !